So, here is the newest addition, 107lb's of stereo power... 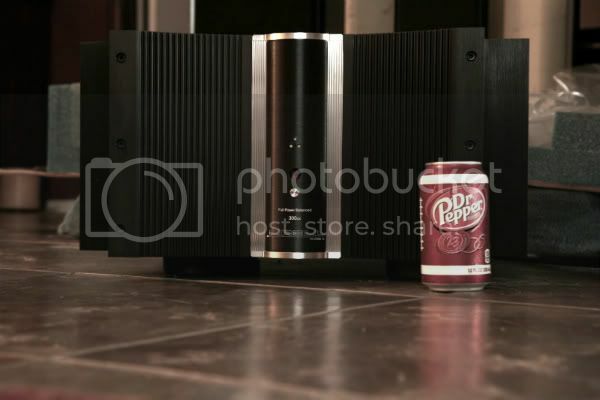 In anticipation of my LFR's.. i included a Dr pepper can in the photos so that the true size can be appreciated. 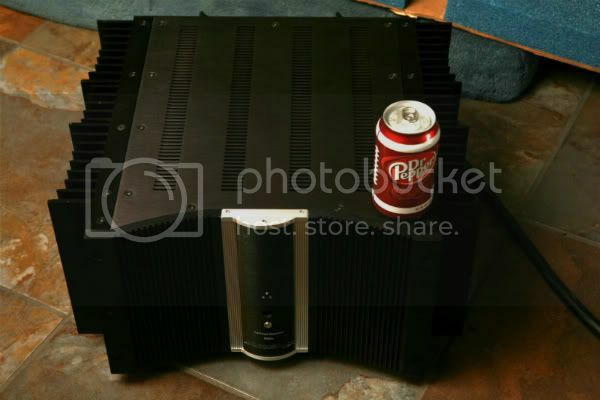 Below, are both of the amps that will be powering my LFR's when they arrive.. The new amp in it's new home.. 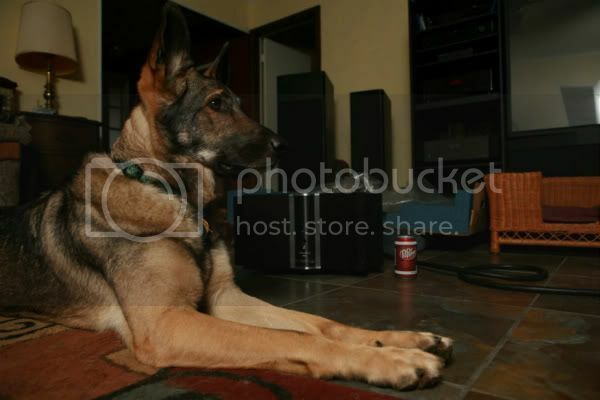 This would be the "out take", meet Sampson... he saw me laying down taking the first few photos in this post, and thought he would join me right in between me and the amp! 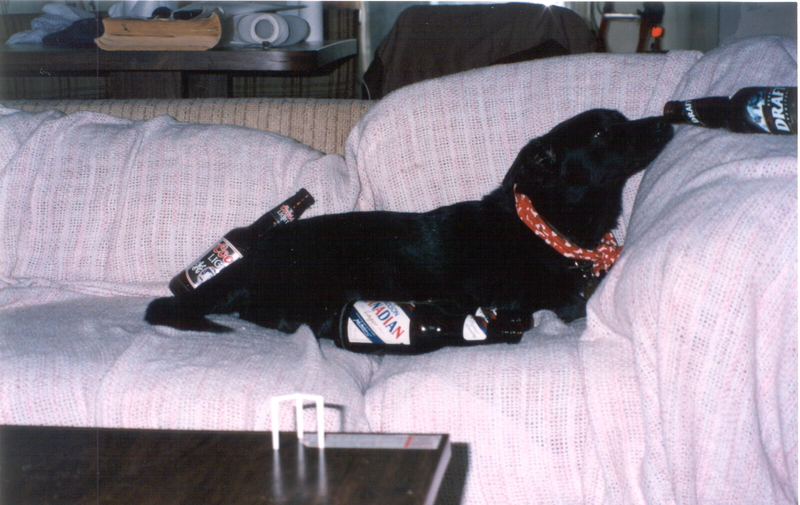 After this photo, i decided to just let him be where he wanted to.. hence his being in other photos..
Hmm, not sure you have enough power Dak, LOL! Krells are definitely bigass psus. What Tom said, but with a capital "L" on Lord! Hook em up to the 60s and let us know what it is like!! Whoa, people still drink Dr. Pepper?